Experience Your Life of Abundance Now – 4 Breakthrough Attract Money Now Quick Meditations! – Less Than 11 minutes each! “Nevillize” Your Future Success Right NOW! Would you like the car of your dreams? How would you like to live in your own private estate? 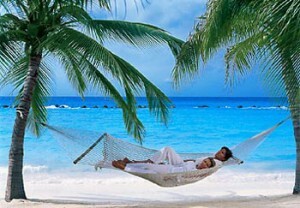 Or maybe you’re ready for the ultimate vacation! All You Have To Do Is Relax and Listen! Each meditation is less than 11 minutes long. You can do them whenever you like. One a day is easy, and you can do a different one each day. Each is guided by Dr. Joe Vitale. His forty years of experience will guide you without you doing anything but relaxing and listening to his soothing voice. Each has original music by Guitar Monk Mathew Dixon and Joe Vitale. The music was made with a Healing Guitar, and is designed to support the meditations and you. Each is infused with the healing power of ho’oponopono. This ancient Hawaiian healing method is weaved into the meditations so you are healing old programs without doing anything at all. Each is a step from the book, Attract Money Now. You download the four 11 minute meditations. You pick a quiet spot and choose one of the meditations. 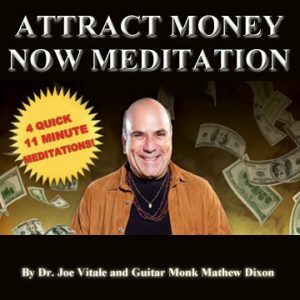 You relax as Dr. Vitale gently leads you into a relaxed state of awareness, and then guides you into the experience of becoming a magnet for money. You end after 11 minutes, stretch, smile, and go about your day (or just fall asleep, if you like). You listen to the four different meditations whenever you want, in any order you want, doing one or more each day. You then notice how you easily begin to see and act differently, as money begins to come to you. PPS—I’m going to be blunt with you for a moment. Mathew and I did everything we could to try to get these meditations at a price that ANYONE could afford. Other Meditation products sell anywhere from $50 to even $100.00. But Attract Money Now Meditation™ is only $12.95.